Two engineering graduates have designed an artificial intelligence (AI) solution to find cracks and leaks in pipes more quickly and accurately — saving time, money and precious water resources. 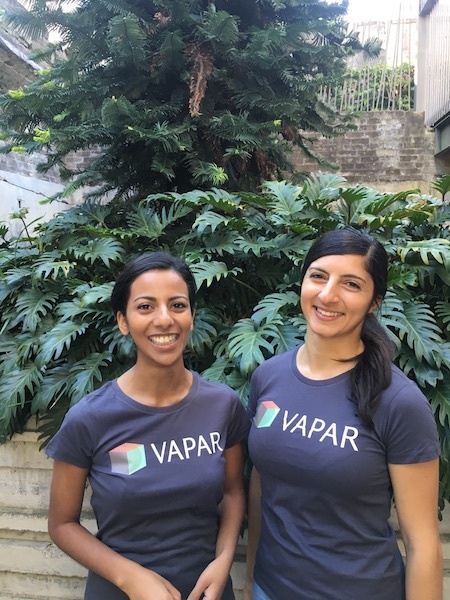 Civil engineer Amanda Siqueira and mechatronic engineer Michelle Aguilar co-founded tech startup VAPAR a year ago, and are now working with two local councils in Sydney to trial an AI solution that could revolutionise the maintenance of water and sewage pipes. 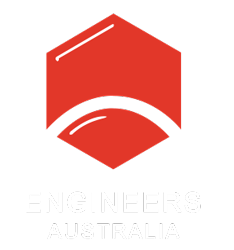 Their entry into the market is timely, with the New South Wales drought placing increased stress on Sydney Water’s infrastructure. Aguilar, the company’s technical director, told create she and Siqueira, the business manager, were bouncing around product ideas, and Siqueira suggested a system for automating analysis of video footage of sewage and water pipes to detect cracks and blockages. As a graduate engineer, Siqueira had dedicated many hours to completing this task manually. After confirming with Aguilar that a software solution would be feasible, Siqueira spoke to former industry colleagues to ensure that their product would be useful in the water sector. “When we got enough positive feedback, we just went for it,” Siqueira said. Aguilar explained that their service allows water utilities, councils and CCTV contractors to upload underground pipe footage to a cloud-based web platform, where it is instantly processed by the VAPAR software. The footage is broken down into frames, which are checked against VAPAR’s AI engine. “That engine has recognised what certain faults look like, and it checks whether any of the new frames look anything like any of the frames it’s seen before in any of those categories,” she said. Based on the footage analysis, the team assesses the condition of the entire pipeline. The results are made available to clients online. Aguilar said the most time-consuming aspect of product development is the ongoing process of manually classifying fault categories in training data for the AI engine. This involves watching thousands of videos and classifying individual frames. “Engineers have to do that as their normal day-to-day process currently. That’s why we’re implementing [the system], so they don’t have to do it,” she explained, adding that this will free up time for more complex analytical tasks. During their software trials, Siqueira and Aguilar have been carrying out manual reviews of footage in parallel with the software analysis. On average, they have found that the software is able to pick up 15 per cent more defects than a manual review. “It will pick up a little bit more than [what manual operators] actually capture, just because they are doing it day in and day out,” she said. Siqueira said that while the water sector has expressed a lot of interest in an AI solution for fault detection, converting that interest into industry trials and support has been challenging. VAPAR is now conducting trials with Northern Beaches and Georges River Councils. “In a lot of cases they don’t actually have the time to watch the footage … it’s all about how they are able to extract more value,” she said. In the next year, Siqueira said she and Aguilar hope to develop their system to give water managers, engineers and utilities the ability to plan for the future. “Instead of just looking at the current condition of the pipes, we want to be able to give councils and utilities an idea of what to forecast in terms of budgets and workforce,” she explained. Their next goal is to expand VAPAR to automate condition assessments of infrastructure outside the water and wastewater sectors. Aguilar said she and Siqueira have also considered expanding their services to offer automatic fault identification and notification via the Internet of Things, but this would take a long time due to the large number of underground pipes used in water and wastewater transport. “These [pipes] are slowly degrading. But where things might fail at any time, the Internet of Things is more applicable because you want to have real-time data on those pipes,” she explained. Both Siqueira and Aguilar said that the analytical thinking processes they learned during their degrees and engineering work has given them the ability to make sound business and technical decisions as entrepreneurs. Aguilar added that being “thrown in the deep end” in a variety of roles, and experience with a wide range of technologies, has also been helpful. “We never stop learning as engineers,” Aguilar explained.